Australian Manufacturing Workers Union members will reportedly share the benefits of $14 million invested to assist Australia’s largest manufacturer of refrigerators meet consumer demand for quality products with lower carbon emissions. 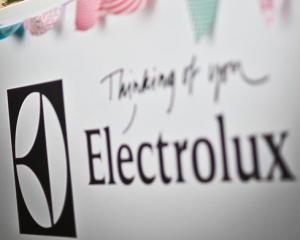 AMWU has welcomed plans by Electrolux Home Products in Orange, NSW, to expand manufacturing after the Federal Government agreed to a $4.7 million grant as part of the Clean Technology Investment Program. The company will invest $9.4 million in a new plant and equipment as it modifies its production line to increase the energy efficiency of its refrigerators by at least 11 per cent. AMWU National Secretary Paul Bastian revealed the project had the twin merits of helping the natural environment through increasing the efficiency of 300,000 fridges manufactured each year, while helping local industry and jobs to make the transition to a lower carbon economy. “The grant to Electrolux is a great example of how the carbon pricing scheme should work, with big polluters paying and that revenue being used to benefit local businesses, jobs and consumers. That’s what the AMWU has been campaigning for.” Mr Bastian said. AMWU Organisers Sheryl Vine and Mick Rattigan had visited the Orange site soon after the announcement, where the future of manufacturing was among issues discussed with members. Delegate Tony Cardwell said the work of the AMWU in encouraging investment should bring its 600 workers extra job security and should be an incentive for increased union membership at the factory. “Today with carbon pricing, you’ve really got to be looking at ways to improve. The foam in the refrigerator will be thicker with some modifications to the gas which will save emissions. There’s some pretty clever people working with us.” he said. Mr Cardwell revealed innovation by Electrolux’s Asian Pacific research and development centre in Orange made the factory cost competitive with importers, while also winning a company workplace safety award. The Clean Technology Investment Program is a Government initiative offering $800 million, funded by carbon price revenue, to local manufacturers to implement energy efficiencies and innovations.